A scarf are probably one of the most popular knitting project. They are typically straight forward to knit and don't require seaming or careful attention to gauge. 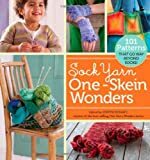 This makes them ideal first projects for beginning knitters. 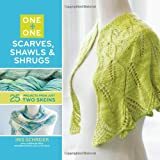 Below, you will find dozens for free knit scarf patterns, from simple stitch patterns to complex cable designs. Beginner. Bulky yarn and an easy, openwork star stitch combine to form a great last-minute gift. Beginner/Intermediate. Infinity scarf with a leaf pattern contrasted by seed stitch. Beginner/Intermediate. Unisex, chunky, cable scarf knit with two strands of yarn held together. Beginner/Intermediate. This simple sideways garter stitch scarf increases & decreases slowly making a long, skinnier scarf. Beginner/Intermediate. This is a simple sideways garter stitch triangular scarf. Any amount of yarn can be used. Gauge: 8.75 stitches per inch or 35.0 stitches per 4 inches. Beginner. A quick & easy circle/infinity scarf pattern for a cozy knitting project. Beginner/Intermediate. Simple 8-row pattern repeat knits up quick! Use #9 needles & sock yarn. Beginner. The entire scarf is just a 1x1 ribbed pattern knit with straight needles and ends joined together. Beginner. A cozy circle/infinity scarf knit in fisherman's rib with chunky yarn for a quick & easy project.